A GIRL...I still can't believe it! It still seems somewhat like I am living in a dream. The boys are over the moon including my husband! It has been so sweet to witness. I still can't get use to saying she. I feel soooo blessed and my heart is overflowing. I stand in awwe when I think about the year and how sad I have been even early in this pregnancy. Even holding my breathe at every appointment and ultrasound waiting to hear the reassurance of a heartbeat, and now God has truly turned my mourning into joy! It's an incredible feeling. Not that I have forgotten or replaced the sweet soul that I lost back in October, but my sweet Savior has answered prayers and been a faithful Father. It's almost overwhelming to even explain right now. Even looking at my sons and seeing the joy and excitement, and how much they have grown over these months. I just can't say enough of what God is and has done for this family! 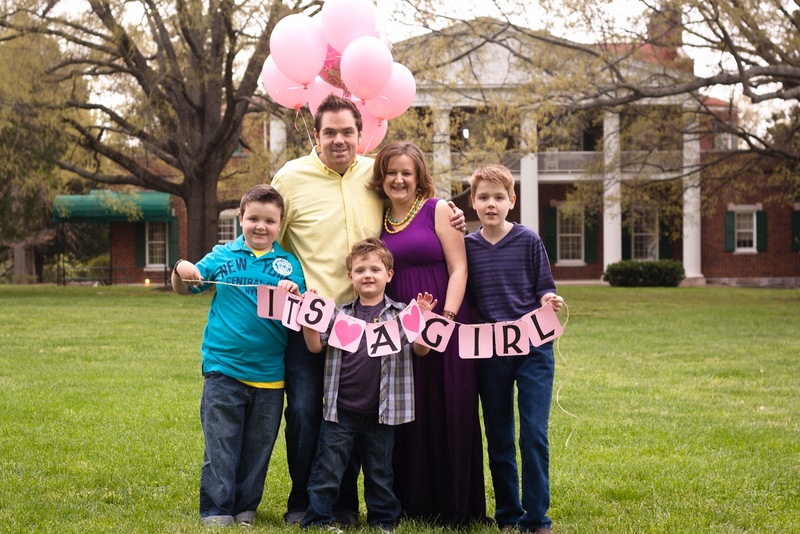 We are overjoyed with the news, and are continuing to pray for her safe arrival into our arms come August! I'm sooooo happy for you!!!!! Yay!! God is so good! :o) I've missed your posts and wondered why you hadn't posted...now I know ;) I'm biased, but girls are a lot of fun! I'm so happy you get to have one! I'll be thinking and praying about you guys. Congratulations beautiful lady!! Love you!